The Bullhead City Fire Department has recognized the tremendous growth in awareness of the need to respond effectively to water emergencies. Our community demands preparedness from their public safety officials. Bullhead City Fire Department Dive/Rescue Teams approach to aquatic preparedness ensures public safety officials respond effectively to water-incident scenes. We combine state of the art knowledge of rescue and recovery, a network of experienced professionals who also work in the field and field exercises with operational standards that ensure sustainable performance. This approach supports national preparedness goals and provides training tailored to enhance our departmental operations. 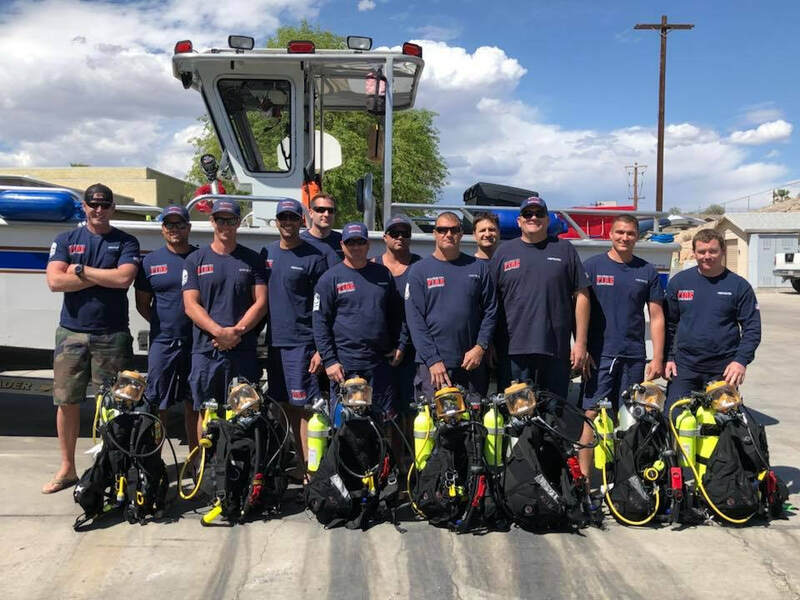 The Bullhead City Fire Department Dive Team is comprised of ten members and is led by Engineer Jimmy Smith​.